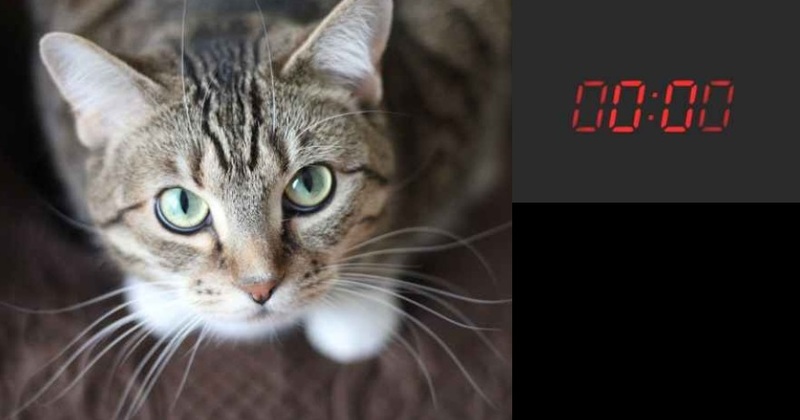 Yes, your pet can tell time! – FIREPAW, Inc. Yes, your pet can tell time! Those people who share their lives with pets frequently have stories about their pet’s seemingly uncanny sense for when their humans are due home from work and school, when pet food will be served, when the postal carrier is due, or when human dinner will be prepared. Well, it has not been your imagination. Using ingenious methods in a new scientific study researchers have discovered a previously unknown set of neurons that turn on like a clock when an animal is waiting. Are you taking your time when feeding your pet? Fluffy and Fido are on to you — and they can tell when you are dawdling. A new study from Northwestern University has found some of the clearest evidence yet that animals can judge time. By examining the brain’s medial entorhinal cortex, the researchers discovered a previously unknown set of neurons that turn on like a clock when an animal is waiting. The research team focused on the medial entorhinal cortex, an area located in the brain’s temporal lobe that is associated with memory and navigation. Because that part of the brain encodes spatial information in episodic memories, it was hypothesized that the area could also be responsible for encoding time. To test their hypothesis, the researchers set up an experiment called the virtual “door stop” task. In the experiment, a mouse runs on a physical treadmill in a virtual reality environment. The mouse learns to run down a hallway to a door that is located about halfway down the track. After six seconds, the door opens, allowing the mouse to continue down the hallway to receive its reward. After running several training sessions, researchers made the door invisible in the virtual reality scene. In the new scenario, the mouse still knew where the now-invisible “door” was located based on the floor’s changing textures. And it still waited six seconds at the “door” before abruptly racing down the track to collect its reward. But the research team did more than watch the mice complete the door stop task over and over again. They took the experiment one step further by imaging the mice’s brain activity. Using two-photon microscopy, which allows advanced, high-resolution imaging of the brain the scientists watched the mice’s neurons fire. The researchers noted these “timing cells” did not fire during active running — only during rest.